This month I’m exploring the making of a book cover. So far this month I’ve shared the progression of a couple covers as I worked with digital artists and I shared my experiences working with an illustrator. This week I want to share the experience of covering a series. Even though I have The Weaver Tales series, it didn’t start as a series, so I didn’t go into it knowing the covers had to relate. 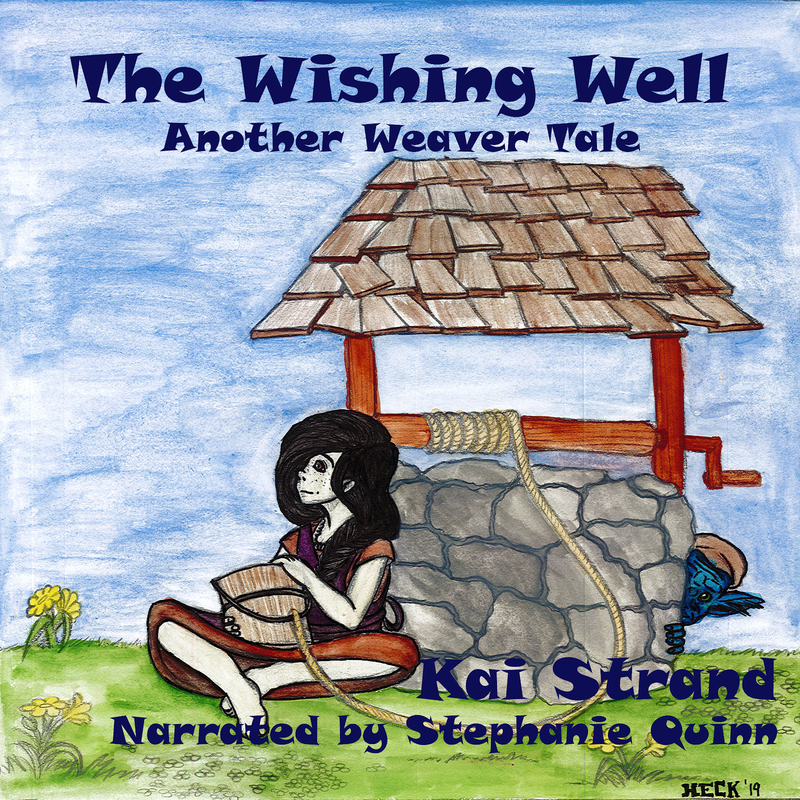 Plus each of book in The Weaver Tales series is a standalone. 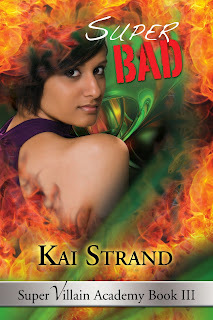 When it came time to work on a cover for King of Bad, book 1 in my Super Villain Academy series, I knew that there would be more books with the same theme. But I still didn’t understand what it meant to make the covers look like a series. Not really. I would love to say that I approached the cover of King of Bad knowing how the over all story arc would progress over the next two books. But I mostly didn’t. Instead, I approached King of Bad with my blinders on. Looking only at the single book and it’s single cover. The only suggestion I had was that I wanted his super power abilities of fire and ice represented somehow. When I got the resulting cover I was super happy! Isn't the ice beautiful? 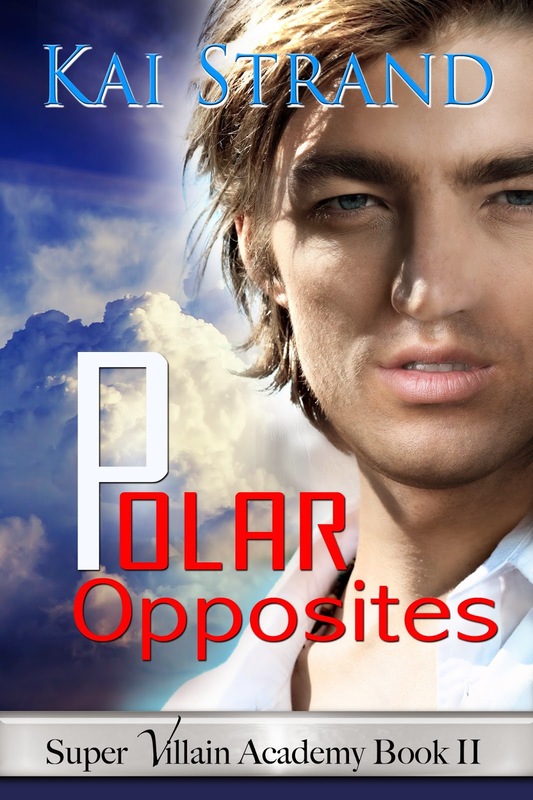 Then I wrote the second book, Polar Opposites, and started working with a different cover artist. I worried that a different artist wouldn’t be able to mesh the covers. Turns out it was almost my fault that they didn’t mesh. I gave her all the wrong information. She sent me this great mock up of a boy looking out over a desert scene, an adobe building all but camouflaged in the sand. It was a great cover, but the boy looked too young even though he faced away from the camera and the scene just didn’t say super powers at all. I wish I had a copy to show you, but I must have deleted it. I regrouped, revisited the King of Bad cover and realized that I was over thinking it. We needed Jeff’s nemesis, Set on the cover of Polar Opposites and his super powers control weather. This remains my favorite cover to date. The back cover is pretty too. I wish I could tell you how easy the cover of Super Bad was, but again I was over thinking it. 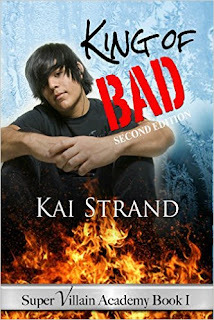 Plus I had yet another new cover artist, so she didn’t have the previous experience to tell me I was over thinking it. I talked too much and too much was happening on the first draft. That was when I realized that I needed to KISS (keep it simple, Stupid) and I told her who should be on it and what super powers play a part in the epic final scene. We went through a few more drafts trying to find the right balance of powers before she struck a great balance. The feminist in me is happy to have a girl with powers on a cover! I have plans to write another trilogy with these characters, but I think I’d go in a different direction with the covers. Though still keep it simple. Granted, the publisher could put a kibosh on my ideas, or I may not have a publisher at all, or, well, we’ll see if it ever comes together. You can pick up any of the books in this series or a three book bundle. Visit my website for links, www.kaistrand.com. 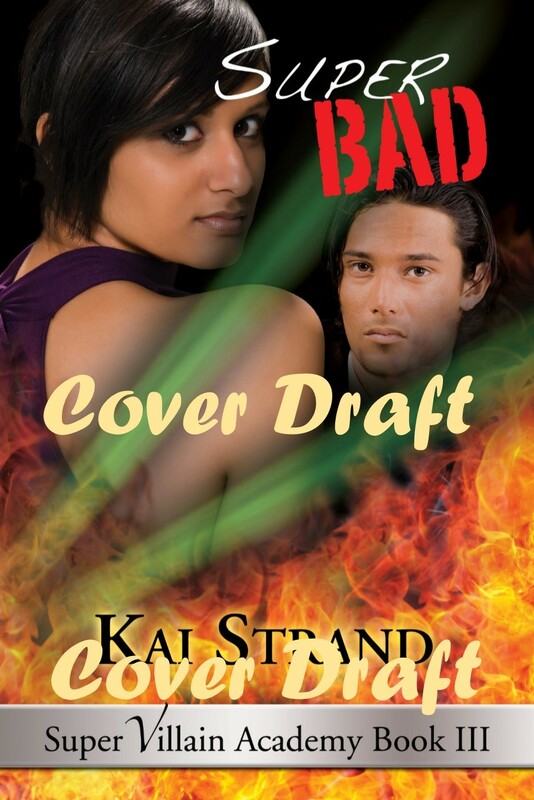 What element grabs your attention on a cover? Fire? Lightning? Rain? Fascinating look at the cover process for a series! It's difficult working with different cover artists for the same series. If I knew what I was doing, it would probably be easier, but it just isn't my strength, you know? I love how it turned out though! I'm so thankful for the voice my publisher gave me. I love and hate designing covers. ;) Sometimes it's a real struggle to find what's right for the story. Such a struggle. A rare few cover designers will take the time to read the book before designing the cover. It's too bad they aren't all speed readers, right? Lol. This is a part of the book publishing business that I find fascinating.